If you are fighting depression, anxiety, or a handful of other mental health disorders, you have likely heard of SSRI drugs. Anyone researching treatments of depression and anxiety will come across this class of medication. It is important to understand how SSRI drugs work and the differences between the different drugs available. While all of the primary six SSRI drugs have been approved by the FDA for treatment of depression, each one has different uses and works differently for different people. This guide will allow you to easily distinguish between the six SSRI drugs so that you are better prepared to talk to your doctor about treatment options. SSRI stands for Selective Serotonin Reuptake Inhibitor. Many people believe that SSRI drugs work by helping you produce more serotonin.This is a misnomer. Studies show that these drugs work by keeping the brain from reabsorbing, or reuptake, the serotonin that is already being produced. This allows for a greater build-up of serotonin without affecting its actual production. 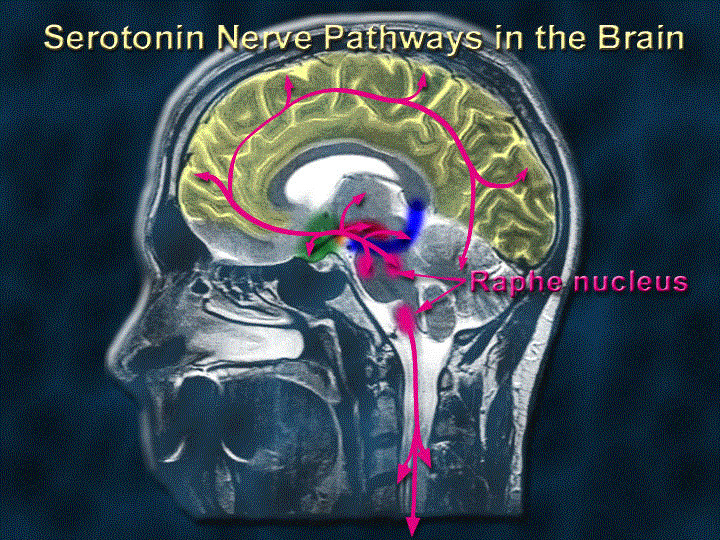 Serotonin is a neurotransmitter that is responsible for many functions in the brain, including emotion and mood. Studies have shown that people with clinical depression have lower serotonin levels, which contributes to their inability to come out of the depression. By allowing for a greater buildup of serotonin, SSRI drugs allow people to overcome depression and anxiety. SSRI drugs are used for more than just depression, however. Certain SSRI drugs have been shown to be very helpful in the treatment of anxiety, PTSD, and obsessive-compulsive disorder. Some SSRIs are also used to help with insomnia and other health conditions. Because SSRI drugs help the brain retain a build-up of serotonin, they do take time to be effective. It generally takes a minimum of two to four weeks before a patient begins to notice a difference in mood or behavior. For most patients, a continuous six to eight-week treatment is necessary before symptoms of depression are in remission. It is also very important that you do not miss doses when taking SSRI drugs. Most of these drugs have a half-life of about 20 hours. This means that 20 hours after you have taken it, the drug does not affect. To build up serotonin in the brain, the medication needs to be taken routinely so that the build-up can occur. Otherwise, serotonin will begin reuptake and progress will be lost. There are sixtypes of SSRI drugs, some with more than one brand name. The SSRI drugs are listed here by generic name, with the brand names listed under each generic. The different SSRI drugs have different side effects and interactions. They are also prescribed for different things and situations beyond depression. The brand name for citalopram is Celexa. Citalopram is one of the most commonly prescribed SSRI drugs for depression and anxiety. Side effects are generally mild but can occur occasionally. It is not approved for children or adolescents and has not shown to be effective for that age group. Celexa is a once per day medication, usually taken in the morning. 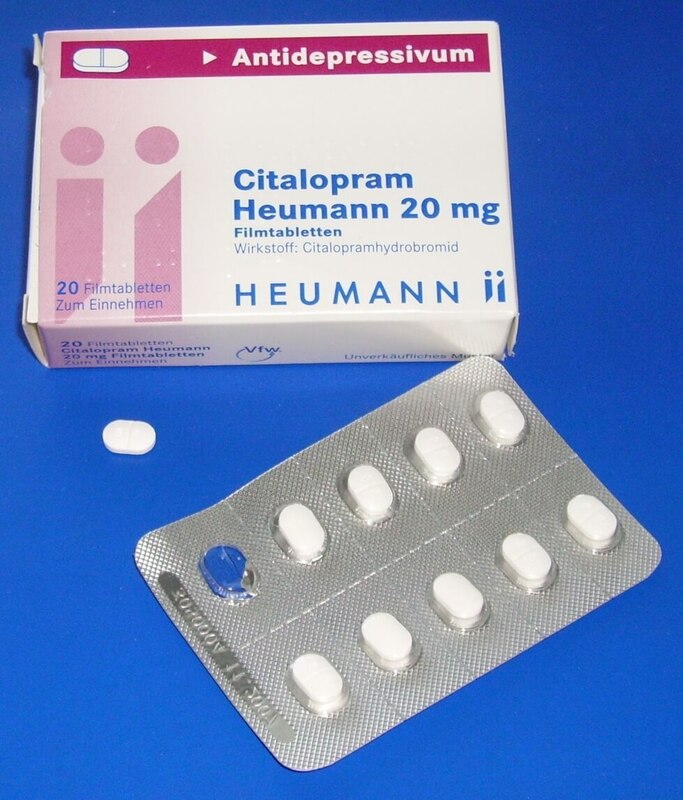 In addition to depression, citalopram has been used to treat anxiety disorders and other mental health conditions. It has shown to be helpful in treating obsessive-compulsive disorder, premenstrual dysphoric syndrome, post-traumatic stress disorder, and eating disorders. This drug will raise your energy levels and give you an overall sense of well-being. Many studies have been done with citalopram and its effectiveness in treating depression. One such study showed that 47 percent of the subjects had positive responses to treatment with citalopram. After an eight-week treatment regimen, 33 percent of subjects had complete remission of their depressive symptoms. The brand name for escitalopram is Lexapro. Lexapro is one of the newer SSRI drugs used for the treatment of depression. Like other SSRI drugs, side effects from escitalopram are typically very mild, although they do occur occasionally. Escitalopram is only used to treat the major depressive disorder and anxiety disorders. There has been little research done to show that it is effective for any other purpose. Unlike other SSRI drugs, escitalopram is not frequently prescribed for mental health problems like eating disorders or obsessive-compulsive disorder. Many studies have been done to test the effectiveness of escitalopram in treating depression, especially when compared to other anti-depressants and SSRI drugs. One such study showed that escitalopram is 30-fold more potent than citalopram for the treatment of depression. The study showed that serotonin levels were much higher with the use of escitalopram than other antidepressants. There are two brands that use this generic. The most common brand name for fluoxetine is Prozac. The other brand name is Sarafem. Prozac has been used as an antidepressant and antianxiety medication for more than three decades, although it is no longer as commonly used as some of the other SSRI drugs. 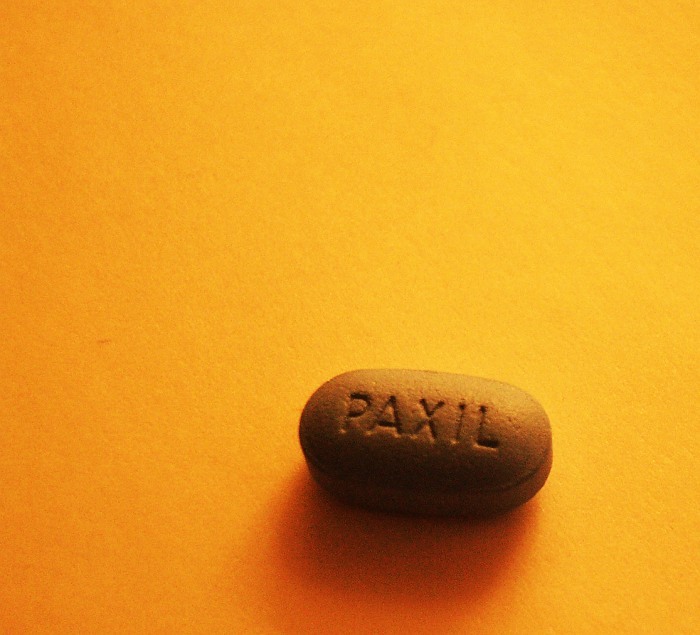 Prozac has been used to treat some mental health disorders beyond depression. It has been used successfully in panic disorders and PTSD. 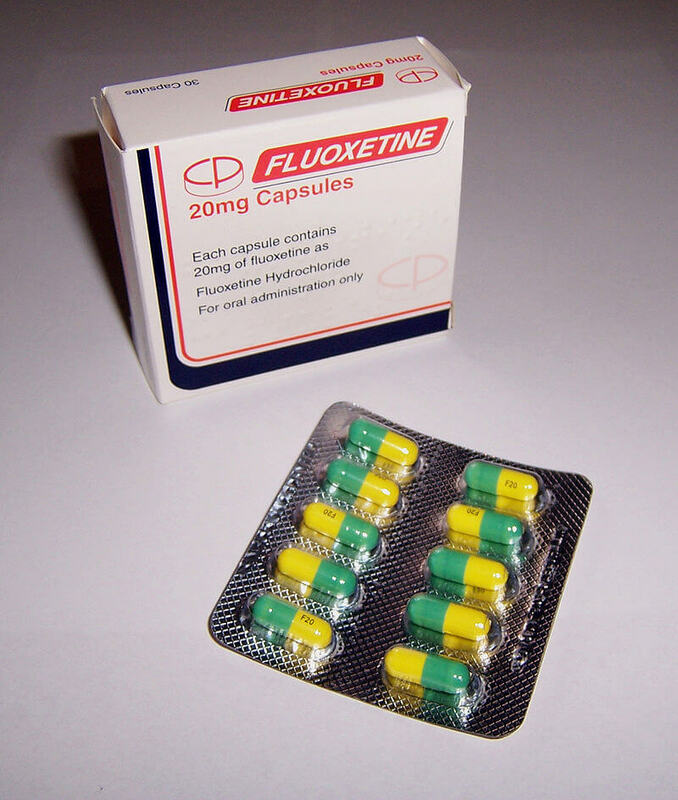 Fluoxetine has also been used successfully in the treatment of bulimia and obsessive-compulsive disorder. Prozac is the only SSRI drug that is approved by the FDA for use in children aged 8 and older. Many studies have been done over the years to test the effectiveness of fluoxetine on different mental health disorders. Most recently studies have focused on the treatment of PTSD in veterans. One such study found that symptomology of PTSD in the veterans was greatly decreased after just five weeks of treatment. The brand name for fluvoxamine is Luvox. Thisis not as commonly used as many of the other SSRI drugs. Like all SSRI drugs, side effects are generally mild, although they can occur. One of the things that make Luvox stand out from the other SSRI drugs is that it is sometimes used to help with insomnia. Luvox has been used successfully as an antidepressant and antianxiety medication. However, it's primary use is in the treatment of obsessive-compulsive disorder. It has also been shown to be effective with panic disorders and bulimia. Studies are still being done to determine the uses that fluvoxamine could be good for. One of the uses that has come out of this study is insomnia. A studywas done in 2000 that found that fluvoxamine increases melatonin production. Melatonin is the hormone in the brain that allows you to sleep. Therefore, it can successfully be used to treat insomnia. However, in people without insomnia, it could cause drowsiness. The commonly known brand name for paroxetine is Paxil. However, it is also marketed under the brand name Pexeva. This SSRI drug tends to have more side effects than some of the other SSRI drugs. Because of this it is not as frequently prescribed as the other drugs like it. Paroxetine is primarily used to treat depression and anxiety. It has also been used successfully in treatments for obsessive-compulsive disorder, panic disorders, PTSD, and severe forms of premenstrual syndrome. Studies are still being done to determine other potential uses for paroxetine. One of the things that stands out for paroxetine from other SSRI drugs is that it has been proven to help with disorders that are not related to depression or anxiety. One study found that paroxetine is successful in treating symptoms of diabetic neuropathy. The study found that most patients given the drug had fewer symptoms of diabetic neuropathy, although the exact reason for this is still being investigated. Sertraline has a brand name forZoloft and is a commonly prescribed SSRI drug. Its primary use is as an antidepressant for the major depressive disorder. This drug is different than many SSRI drugs in that it has been shown to be effective for adolescents aged 12 or older. In addition to being used to treat depression, sertraline has been used to treat anxiety disorders, such as panic disorders and PTSD. It has also been used successfully in the treatment of obsessive-compulsive disorder and premenstrual dysphoric disorder. It has also been used to treat social anxiety. Studies have been done to determine the effects of using SSRI drugs for people under the age of 18. One study done in 2003 found that Zoloft is effective in treating the major depressive disorder in teenagers aged 12 and older. The study found that adverse drug effects were minimal, occurring in only nine percent of the adolescent patients. If you suffer from depression, anxiety, obsessive-compulsive disorder, or other mental health symptoms, you should immediately seek help from a psychologist or psychiatrist. These mental health professionals can further discuss your treatment options and will be able to tell you which of the SSRI drugs, if any, are appropriate for treating your symptoms. They will also be able to go over in more detail the benefits and risks of taking SSRI drugs.